The most significant pests and diseases which make life difficult for the hops are listed here. 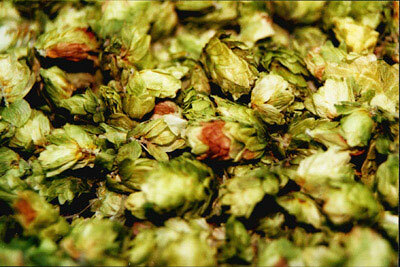 Powdery mildew is the most frequent fungal infection affecting hops. It is spread via fungal spores. Where the spores land on the leaves, the leaves at first show a lightening in color. On the underside of the leaves, a carpet of grey fungus develops. 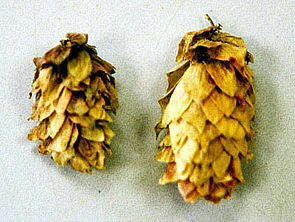 The flowers harden and do not develop, the cones turn a mottled brown. The peronospora alert service in the growing regions makes it possible to fight the infection in a targeted manner. Information is provided daily about any possible risk of infection by analysing sporulation, leaf humidity and the air saturation deficit. 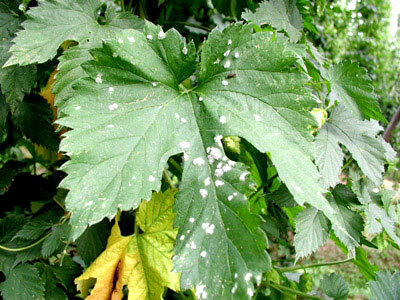 Powdery mildew affects plants relatively frequently (roses, stone fruit…), but is of lesser significance in the Tettnang hop growing region. 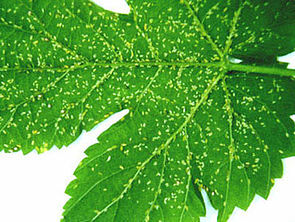 An attack is usually identified by a whitish covering on the upper side of the leaf. 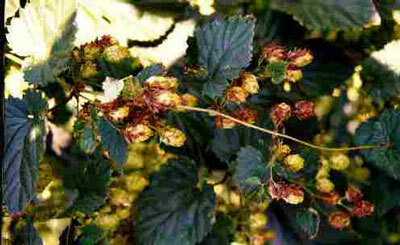 The flowers and cones become stunted. The botrytis fungus occurs more frequently in years with frequent precipitation during the flowering period. Only the cones are affected. 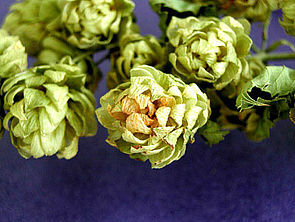 Individual bracts or cone tips turn a reddish-brown color. In May/June winged aphids settle on the hops. These produce larvae with neither reproductive organs nor wings. After casting their skins four times (approx. five days) they become adults and are able to reproduce. One aphid produces approx. 25 offspring. They move to winter hosts in the autumn (damsons, plums, sloes). 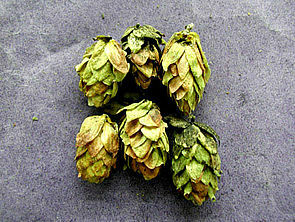 Hop aphids are bright green with dark stripes and damage the hops primarily by sucking out the sap (phloem suckers). Their metabolism causes them to exude a sugary liquid called honeydew. Sooty moulds then colonize this honeydew. 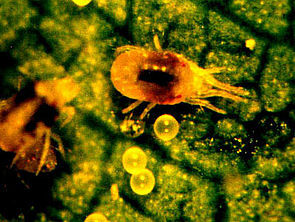 The red spider mite causes damage by sucking. This causes the upper surface of the leaf to turn a yellowish or reddish-brown color. They reproduce by laying eggs. Warm dry weather favours their development.